Unique opportunity to meet key fintech industry players – policy makers, regulators, innovative leaders to share the latest trends and ideas in fintech. Insights from top level decision makers, networking sessions, workshops – all about innovation, challenges and future prospects of new technology in payments, investments and other financial sectors. On 8 November guests from all over the world and Lithuania will gather in Vilnius at the largest fintech conference in the Baltics. 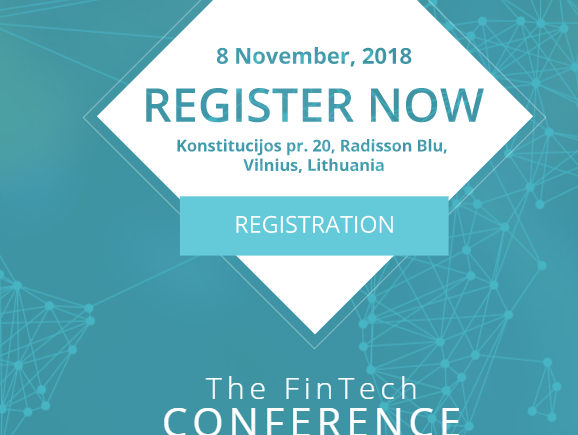 The conference is hosted by the Ministry of Finance, the Bank of Lithuania, Agency for Science, Innovation and Technology, Invest Lithuania – a unique team of institutions that joined their competences and initiatives to make Lithuania and the Baltics hottest fintech spot in the Nordic-Baltic region.